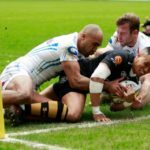 Don Armand starred for the Exeter Chiefs in their 20-14 win over the Sale Sharks, while there were also English Premiership victories for Newcastle, Saracens, Leicester, Harlequins and Bristol. 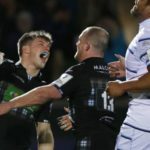 The Glasgow Warriors grabbed a 33-24 bonus-point win against the Cardiff Blues, while there were also European Champions Cup wins for Saracens and the Exeter Chiefs on Sunday. 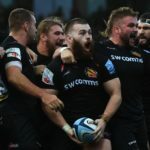 The Exeter Chiefs secured an impressive 31-13 bonus-point win against Saracens, while there were also victories for Northampton, Leicester, Sale, Gloucester and Bath in the English Premiership. 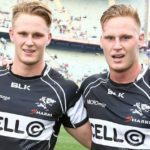 Schalk Brits and Vincent Koch won the English Premiership title with Saracens, who beat the Exeter Chiefs 27-10 in the final at Twickenham on Saturday. MARIETTE ADAMS reports. 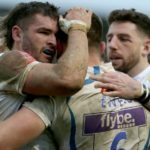 Don Armand scored a try as the Exeter Chiefs beat the Newcastle Falcons 36-5 at Sandy Park to progress to the English Premiership final.